Ideal Smiles Dentistry is proud to serve members of the military and armed forces. We gladly accept TRICARE (United Concordia) and Metlife Insurance. 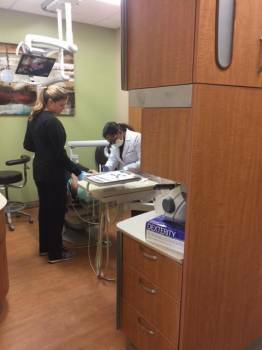 We provide quality dental care for the entire family, in the state of the art facility. Our commitment is to provide every patient the highest professional and ethical standards. Welcome to Ideal Smiles Dentistry! We are conveniently located in the heart of Virginia Beach close to the town center. At Ideal Smiles Dentistry, we offer high standard of excellence in personalized dental care. We understand that for military families, flexibility and convenience are very important. We take great care to schedule appointments so that there is minimal waiting time and make arrangements to take emergency cases as soon as we possibly can - in many cases, on the same day. Ideal Smiles Dentistry Doctor and staff would like to thank all of our service members and their families for the sacrifices they make for our country's freedom. It is our honor to serve you.